SAVE YOUR DISTRICT MONEY - Offer ends July 1, 2019! You will receive 2019 pricing during this special “Register at Last Year’s Rates” offer for the 2020 National Reading Recovery & K-6 Literacy Conference! 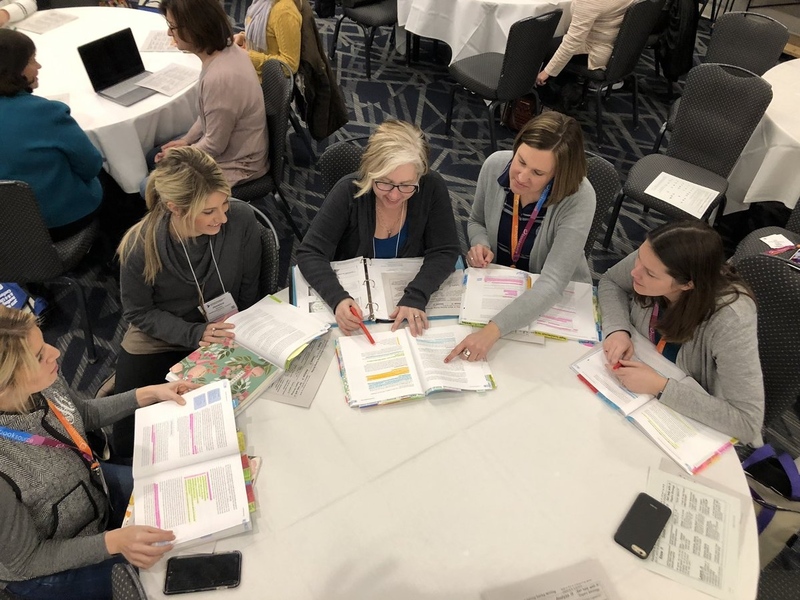 The Full Conference offers over 100 sessions and includes high-quality professional development in the areas of K-6 classroom literacy, literacy coaching, leadership, children’s literature, and Reading Recovery. Audience is all K-6 educators, literacy coaches and specialists, interventionists, administrators, and Reading Recovery professionals. The Preconference and Leadership Institutes provide an in-depth exploration of topics with interactive discussions and audience participation in a focused one-day comprehensive session. The Leadership Institute is ideal for school and district level administrators and leadership teams. By registering online and submitting payment by July 1, 2019, you will be one of the first to have the opportunity to select your sessions. You will also receive early notice about the opening of the hotel reservations. The Conference office will be in contact with you in September with instructions and a special code to complete your session selections. We look forward to seeing you in February 2020! Contact us at (614) 310-7340 if you have any questions or concerns with your registration. We are happy to assist you. Note: If you are paying with a Purchase Order, you must have the P.O. number and a copy of the P.O. to upload to complete your registration. All payments must be received by July 1, 2019 (purchase orders are acceptable documents, but they are not considered payment). REGISTER NOW AND SAVE YOUR DISTRICT MONEY! Payments must be received by July 1 to qualify for this pricing. For immediate assistance for an event registration, please call the Conference Office at (614) 310-7340.